Creating Place was appointed to develop landscape proposals to support a planning application for residential infill at a former light industrial site in Sutton Scotney, Hampshire. 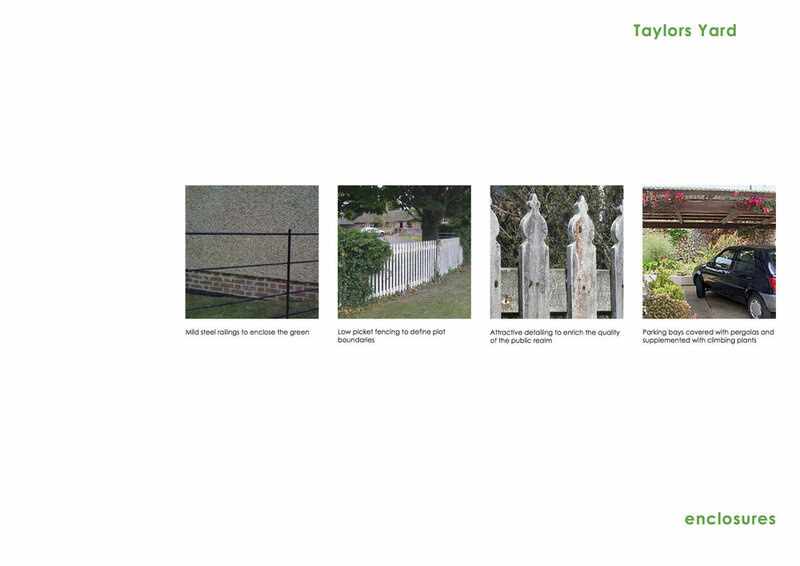 A landscape appraisal of Sutton Scotney revealed the landscape treatment was typical of other Hampshire villages, supporting low clipped evergreen hedges, picket fences, ornamental planting, narrow grass verges fronting the public highway, and front doors adorned with plants in pots. Surface treatments were simple, with block pavers, macadam and loose gravel used to define public and private areas. Tree species within and around the site included Ash, Horse Chestnut and various fruit trees. The presence of fruit trees and research of the site’s history revealed there were numerous orchards in the area prior to the site becoming a yard. 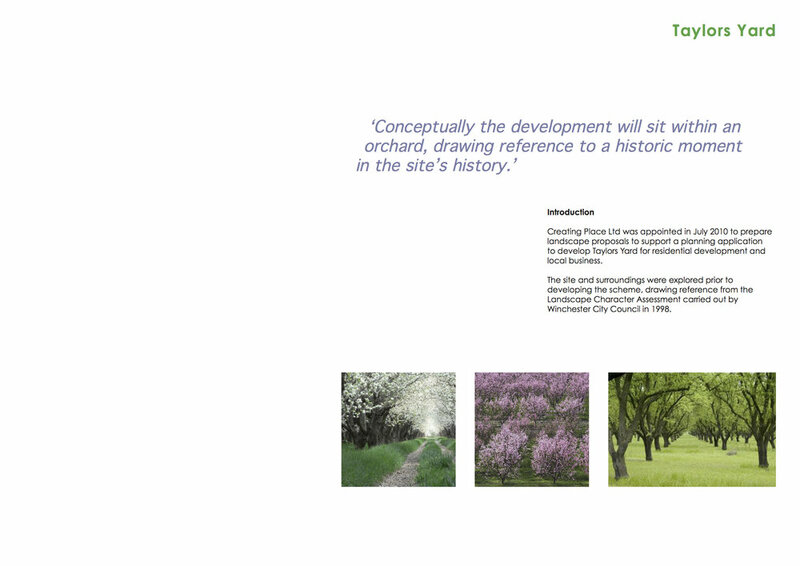 The landscape design responded the landscape character of the area and incorporated recommendations proposed in a ‘Biodiversity Survey Of Buildings’ report and Arboricultural Impact Appraisal and Method Statement commissioned as part of the planning application. Although a small number of trees needed to be felled, this was limited to poor quality grade U and C trees. Loss of tree cover was further mitigated by planting advanced nursery stock specimen trees on a ratio of two for one.